Xanthones are naturally occurring compounds commonly seen in the mangosteen fruit. The nutrient is derived from the rind or pericarp of the fruit. The fruit’s xanthone-rich extracts are usually packaged in a wide array of natural food supplements sold in health food stores, organic markets, and across the internet. 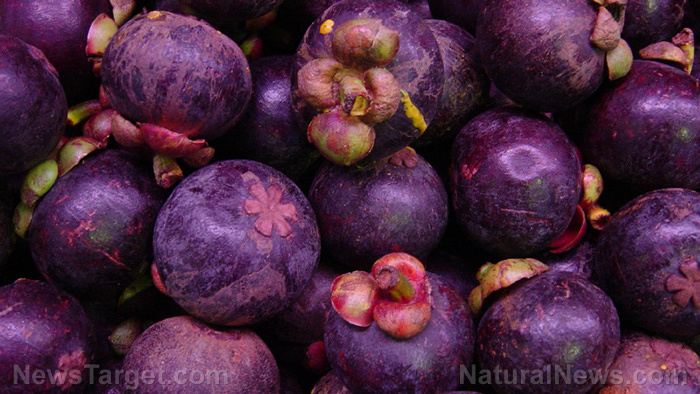 According to an entry featured in the Wise Geek website, some manufacturers combine mangosteen juice with other fruit juices to fortify its xanthone content. Xanthones are found to possess strong antioxidants, anti-inflammatory, and antimicrobial properties. This potent compound is widely known for its massive health benefits. However, experts stress that people planning to take xanthones should consult health care providers first. The xanthone in both the flesh and the skin of mangosteen are known to scavenge on free radicals and inhibit the toxic compounds’ adverse health effects. According to a Diet Health Club article, this effect helps decrease the onset of allergic inflammation within the body. Likewise, two xanthone derivatives — alpha mangosteen and gamma mangosteen — found in the fruit are shown to effectively heal damaged cells and slow down the aging process. The strong antioxidants are also known to inhibit the development of degenerative disorders as well as physical and mental deterioration. The nutrient is also found to play a vital role in maintaining a healthy cardiovascular profile. Daily xanthone supplement intake is touted to significantly reduce blood cholesterol levels and improve the heart’s overall well-being. The potent antioxidant properties of xanthones are also found to reduce the odds of developing various cardiovascular conditions such as heart attack, atherosclerosis, and stroke. A cardiologist should be consulted before trying on these supplements, experts say. Xanthone is shown to maintain the digestive system’s overall health as well. According to an article posted on the Style Craze website, the xanthones in mangosteen peels show marked efficacy in speeding up the fat breakdown. This, in turn, facilitates weight loss and keeps excess pounds at bay. Likewise, a xanthone-rich decoction made from mangosteen rind can be used to relieve diarrhea. Moreover, xanthones are highly valued for their impressive anti-fungal and antibacterial properties. These effects help stave off both viral and fungal infections and eliminate certain carcinogens from the body’s systems. Furthermore, the xanthones in dried mangosteen rind is helpful in maintaining healthy skin. The nutrient is found to alleviate eczema and other skin disorders. Xanthone is notably useful in fortifying the body’s defenses against a host of viral and bacterial infections. Likewise, the beneficial nutrient plays a key role in maintaining a health cardiovascular profile and digestive tract. It is also necessary in boosting both the skin and oral health, as well as relieving certain urinary tract disorders. The powerful compound is known to promote both brain and women’s health as well. Xanthones prevent allergic inflammation, heart attack, atherosclerosis, and stroke. Xanthones protect against cellular damage, viral infections, and bacterial infections. Xanthones addresses digestive system disorders such as diarrhea and dysentery. Xanthones mitigate the risk of urinary infections, Alzheimer’s disease, and menstrual issues. Xanthones particularly benefit both the body’s immunity and cardiovascular profile. Xanthones support oral health, digestive profile and the urinary tract. Xanthones enhance brain health, skin conditions and women’s health.